Therapy options vary once a child is diagnosed of autism. The complete system usually involves appointments with various health professionals including occupational, speech and behavioral therapist. 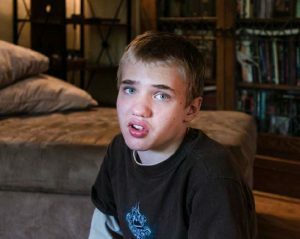 In most of the cases the therapy of an autistic child is time-intensive and hugely expensive. Not many people can afford the treatment. Some studies have suggested that in order to make the behavioral intervention effective among young autistic children, at least 20 to 40 hours of therapy sessions must be provided each week, for at least a year. But not the full recommended time needs to be spent with the therapist. Behavioral intervention can happen at home. A weekly visit to the counselor could be enough. This is usually done to track the progress of the counseling sessions and how effectively the intervention methods suggested is being followed at home. An Autism Detection App on the Cards? As already said, these therapy sessions are hugely expensive, and could cost as high as $150 for a single sitting. Of course, it varies depending on the state of city you live in. But it is usually inaccessible to most families. But serious games like learning apps for autistic children can be used both at home and school. These tools have the potential to keep the child engaged and help in their communication.